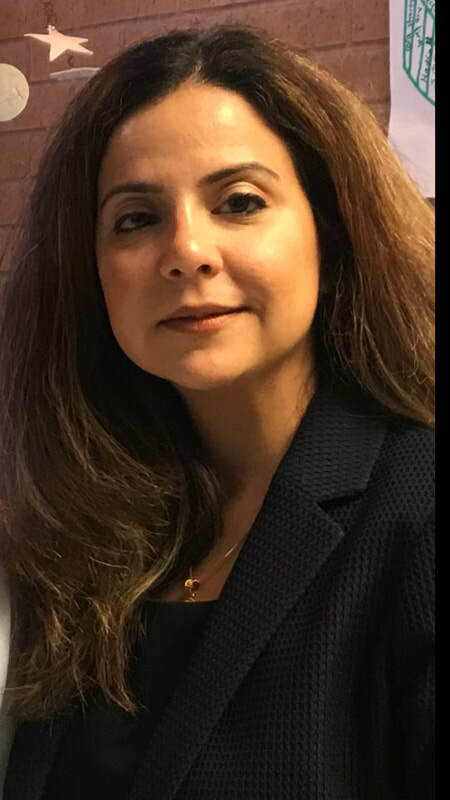 Dr. Azadarmaki received her undergraduate degree in Biochemistry from Georgetown University and underwent medical training, including residency in Otolaryngology-Head and Neck Surgery, at Temple University School of Medicine. She completed her training with a fellowship in Advanced Otology at the Metropolitan NeuroEar Group. She is a member of the Alpha Omega Alpha Honor society and a diplomat of the American Academy of Otolaryngology-Head and Neck Surgery. In addition to sincere dedication to her patients and their medical care, she has special interest in clinical research. She has authored many publications and has presented at both National and International meetings. She has received several awards pertaining to her clinical research. Her special interests include disorders of the ear, hearing loss, vertigo and dizziness, tinnitus, facial nerve disease, acoustic neuromas, disorders of the Eustachian Tube, and sinonasal disease. Her practice offers comprehensive medical and surgical care of the ear and vestibular disorders in addition to specialty surgical care of the Eustachian tube. She also provides comprehensive medical and surgical General ENT care. Dr. Kendall DeLorenzo serves as our Clinical Audiologist at Washington Ear Associates. She earned her Bachelor of Science degree in Communication Sciences and Disorders from James Madison University in 2014, and her audiology doctorate from Montclair State University in 2018. She completed her fourth year clinical externship at Philadelphia Ear, Nose, and Throat Associates. Her experience includes the evaluation, diagnosis, and treatment of various hearing and vestibular disorders. Dr. DeLorenzo is committed to the rehabilitation of her patients, and is trained in treatment options including hearing aids, osseointegrated devices, and cochlear implants. She holds a Virginia license, a Virginia Hearing Aid Dispensing license, and is certified by the American Speech-Language-Hearing Association (ASHA). ​Serving the Northern Virginia area for your Ear, Nose, and Throat, including hearing aid and audiology needs. Our services are available but not limited to Loudoun, Fairfax, Fauquier, Frederick, and Prince William counties in Northern Virginia, Jefferson and Berkeley counties in West Virgnia, and Frederick and Montgomery counties in Maryland.